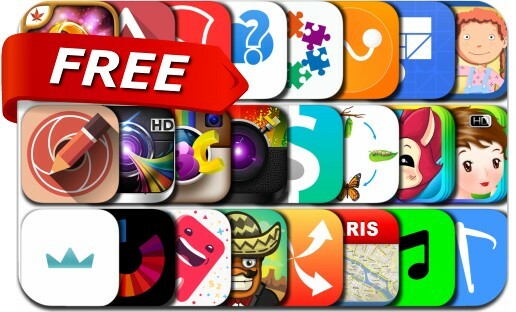 This apps gone free alert includes The Adventures of Mosaika, Amigo Pancho, Jellies!, Video Shrinker - Compress And Convert Videos to Free Memory, Track Kit - GPS Tracker with offline maps, Luzmo, Sketch Me!, Fotograf, FilterMania 2, ViewExif and many others. Just one minute of HD video can take up over 40 MB of space! 4K video can use 375 MB per minute! Use Video Shrinker to decrease your video file sizes by 80% or more. - Free tons of space! - Easily Identify large videos. - Fine tune video export settings to get the quality & file size you want.